"Ranked fourth in the Fortune’s list of World's 50 Most Powerful Women 2013"
Ms. Chanda Kochhar is the Managing Director and Chief Executive Officer of ICICI Bank Limited, India's second-largest bank and the largest in the private sector. She is widely recognised for her role in shaping the retail banking sector in India and for her leadership of the ICICI Group, as well as her contributions to various forums in India and globally. 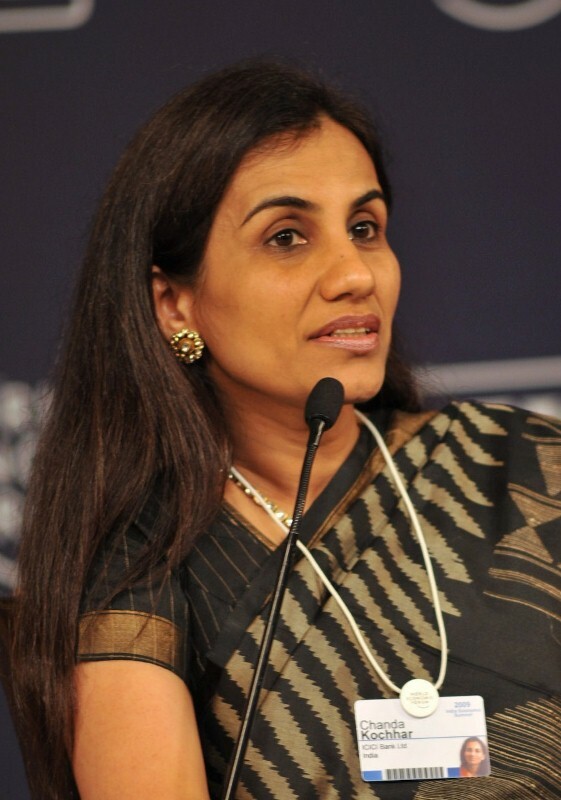 Ms. Kochhar began her career, with erstwhile ICICI Limited in 1984 as a management trainee after her Master's degree. In her early years in ICICI, she handled Project Appraisal and Monitoring and projects in various industries like Textile, Paper and Cement. In 1993, Kochhar was sent to ICICI bank as part of a core team to set the bank. She was promoted to Assistant General Manager in 1994 and then to Deputy General Manager in 1996. In 1996, Kochhar headed the newly formed Infrastructure Industry Group of ICICI, which aimed "to create dedicated industry expertise in the areas of Power, Telecom and Transportation". In 1998, she was promoted as the general manager and headed ICICI's “Major Client Group”, which handled relationships with ICICI's top 200 clients. In 2000, she took on the challenge of building the nascent retail business, with strong focus on technology, innovation, process reengineering and expansion of distribution and scale. The Bank achieved a leadership position in this business. During 2006-2007, she successfully led the Bank's corporate and international banking businesses during a period of heightened activity and global expansion by Indian companies. From 2007 to 2009, she was the Joint Managing Director & Chief Financial Officer during a critical period of rapid change in the global financial landscape. She was elevated as Managing Director & CEO of ICICI Bank in 2009 and is responsible for the Bank's diverse operations in India and overseas. She also chairs the boards of the Bank's principal subsidiaries, which include India's leading private sector life and general insurance companies. In addition to her responsibilities at the ICICI Group, Ms. Kochhar is a member of the Prime Minister's Council on Trade & Industry, the Board of Trade, High-Level Committee on Financing Infrastructure, US-India CEO Forum and UK-India CEO Forum. She is a member of the boards of the Indian Council for Research on International Economic Relations, National Institute of Securities Markets, Institute of International Finance and International Monetary Conference. She was co-chair of the World Economic Forum's Annual Meeting in 2011. Under Kochhar's leadership, ICICI Bank won the “Best Retail Bank in India” award in 2001, 2003, 2004 and 2005 and “Excellence in Retail Banking Award” in 2002; both awards were given by The Asian Banker. Kochhar personally was awarded "Retail Banker of the Year 2004 (Asia-Pacific region)" by the Asian Banker, "Business Woman of the Year 2005" by The Economic Times and "Rising Star Award" for Global Awards 2006 by Retail Banker International. 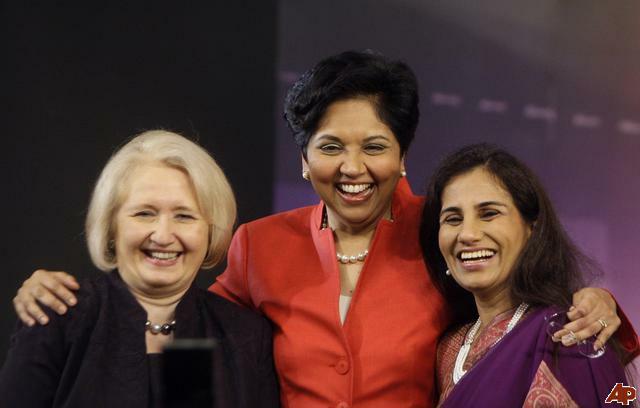 Kochhar has also consistently figured in Fortune's list of "Most Powerful Women in Business" since 2005. Recently she has been ranked fourth in the Fortune’s list of World's 50 Most Powerful Women 2013. She featured in Business Today's list of the "Most Powerful Women – Hall of Fame". In 2011, she also featured in the "The 50 Most Influential People in Global Finance" List of Bloomberg Markets. 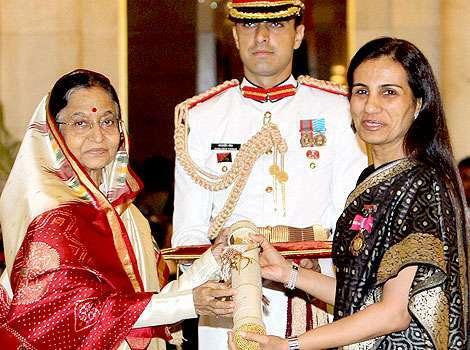 Kochhar is honoured with Padma Bhushan Award, the third highest civilian honour by the Government of India for the year 2010 for her services to banking sector. 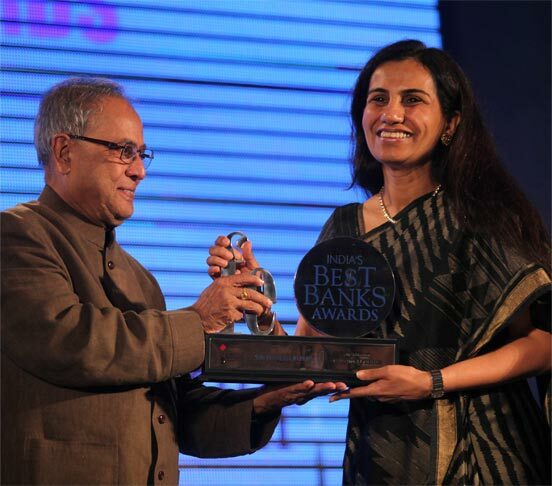 Kochhar was also awarded the "ABLF Woman of Power Award (India)" in 2011 at the Asian Business Leadership Forum Awards. Kochhar was ranked as the most powerful business woman in India in Forbes' list of 'The World's 100 Most Powerful Women 2013'. 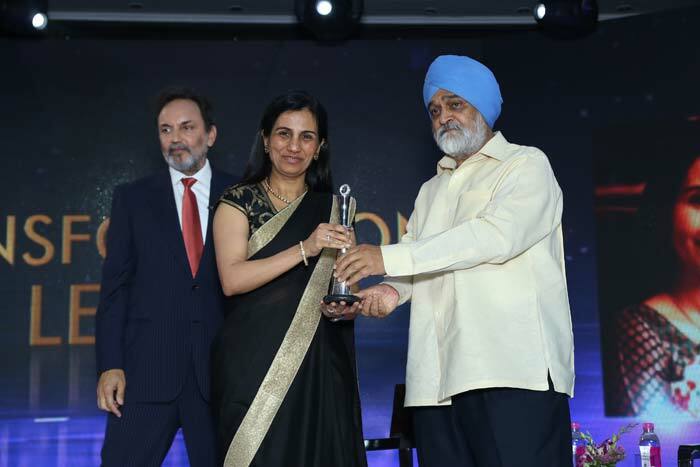 Kochhar was also featured in the Power List 2013 of 25 most powerful women in India by India Today, for the third year in a row. K ochhar was born in Jodhpur, Rajasthan and raised in Jaipur, Rajasthan. Her father passed away when she was 13 and the family moved to Mumbai shortly after that. She did really well throughput her schooling, she topped in the school, college, management studies and in her MBA. She believes that the best wealth that the parents could give to the children was to educate them, and her parents gave her that foundation. She is an alumnus of St. Angela Sophia School, Jaipur. She then moved to Mumbai, where she joined Jai Hind College for a Bachelor of Arts degree. After graduating in 1982 she then pursued Cost Accountancy ICWAI, Later, she acquired the Master Degree in Management Studies from Jamnalal Bajaj Institute of Management Studies, Mumbai. She received the Wockhardt Gold Medal for Excellence in Management Studies as well as the J. N. Bose Gold Medal in Cost Accountancy for highest marks in the same year. She always says that her mother is her role model. She says “in fact, we were living in a small city called Jaipur where my mother was only a homemaker and suddenly, with this change in circumstances, when she had really three young school or college-going children to look after without any family business to lean upon. She had a talent of dress designing and took up a job in that field. And I think that we, at that very young age, she kind of gave us that confidence. It is just showed to me that she adapted to the new set of environment and took that as a challenge and performed very well and emerged stronger out of it. Had she crumbled down, we would have all naturally crumbled down”. Kochhar resides in Mumbai, and is married to Deepak Shandilya, a wind energy entrepreneur and her Business schoolmate. She has two children, a son and a daughter.